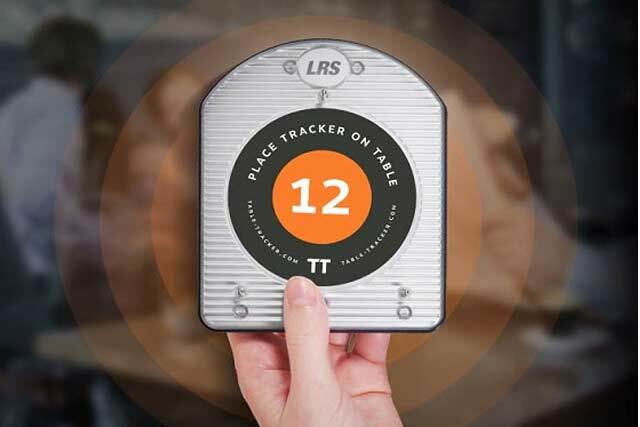 You’ve seen it – food runners walking in circles searching for customer to deliver their order. They circle the floor until a customer waves them down. Stop wasting time searching and start serving your customer. Time saved is time better spent elsewhere. Whether you’re looking to cut costs, or reallocate staff to more important things, any way you slice it, a minute off every order adds up to significant savings. 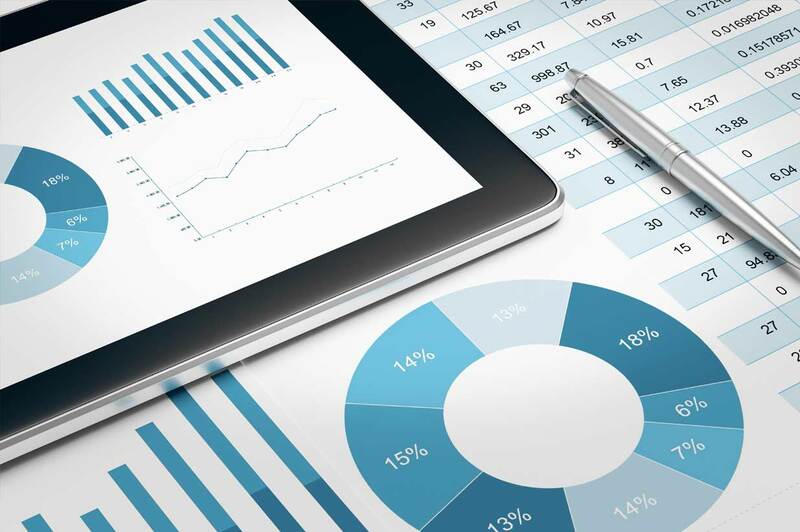 Knowing your delivery metrics is important in maintaining a consistent, quality brand. 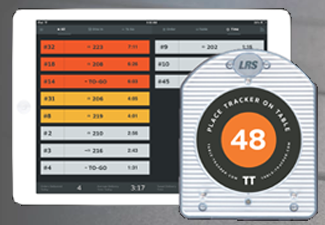 Table Tracker’s reporting on-site and online aggregated data provides store managers, regional managers, and owners the unique insight each needs. 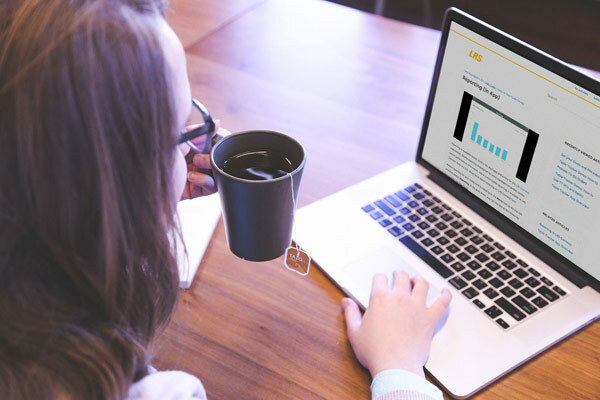 Before you launch, IFSE will train and educate your team on best practices learned from our nearly 10 years of location tracking experience. 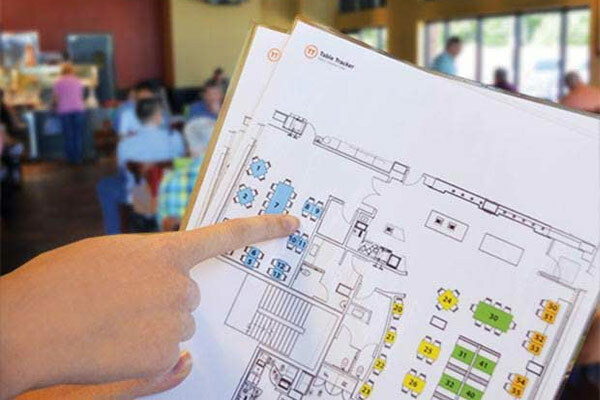 Your IFSE implementation team will design your Table Tracker table location system to best fit your layout and your business. 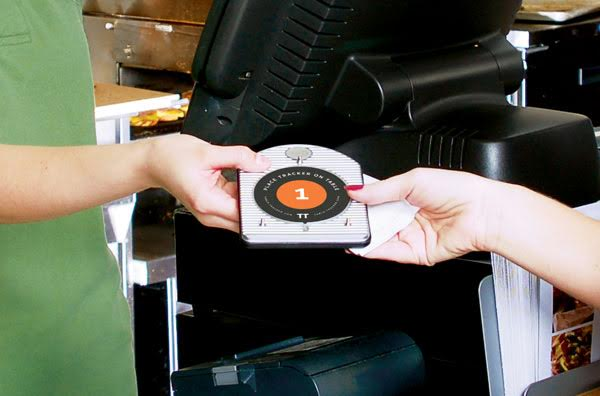 Installation experts visit your restaurant to set-up the system any time convenient to you. Best of all, it’s a “set-it and forget-it” system with no maintenance required by you. Table Tracker is intuitive and simple to pick-up, and soon, like many other Tracker users, you’ll find your business can’t run without it. Trackers are re-chargeable and long-lasting. Coupled with the IFSE warranty, your system is guaranteed. 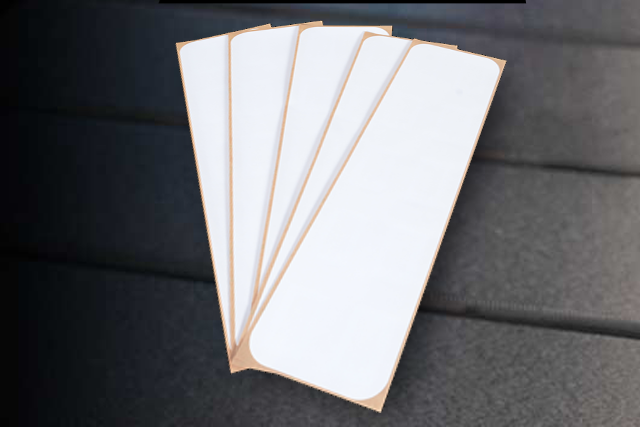 IFSE location tags are permanently on. No need for a power source, no need to check if batteries are operating, and no need to continually replace expensive batteries. 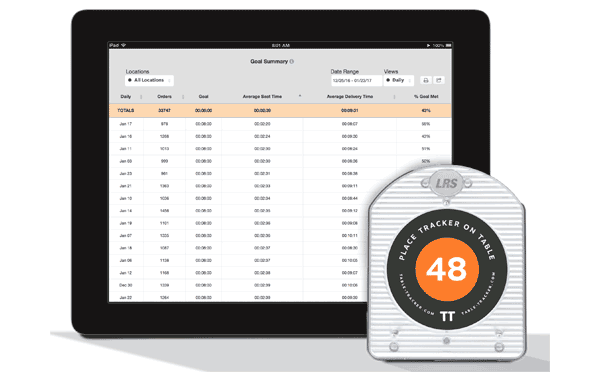 Over time, maintenance costs add-up to big bucks – making Table Tracker a smarter, more stable, and economical choice in the long-run. Goal summary reports make it easy to monitor each restaurant location’s delivery metrics against overall corporate goals. 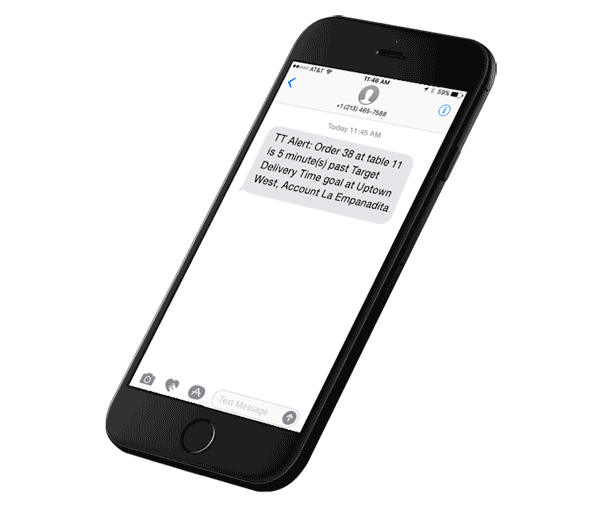 Managers can receive text alerts when orders aren’t delivered in a timely manner, or when performance metrics are dipping below expectations. 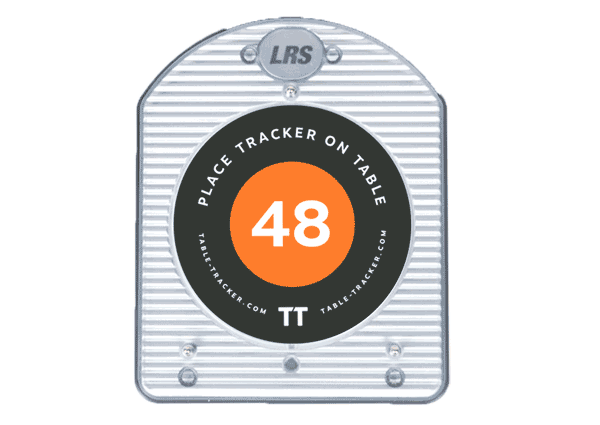 Table Tracker can be integrated into your other operational software for a more streamlined approach to locating customers. Want to get more information on Table Tracker? Speak to one of our technology experts.